Aqua (Water), Niacinamide, Pentylene Glycol, Zinc Pca, Tamarindus Indica Seed Gum, Xanthan Gum, Isoceteth-20, Ethoxydiglycol, Phenoxyethanol, Chlorphenesin. Niacinamide 10% + Zinc 1% is a water-based serum with niacinamide (vitamin B3) and zinc. This treatment reduces the appearance of blemishes, redness, enlarged pores, uneven tone, and oily skin. It promotes clearer, brighter, and smoother skin while balancing sebum production. 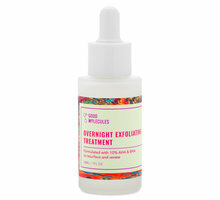 Apply a small amount to your face in the morning and at night before oils, moisturizers, and creams. This product should not be used at the same time as treatments containing pure vitamin C (ascorbic acid). What is niacinamide and what does it do? Niacinamide is a vitamin with many benefits for the skin. It visibly brightens and improves the appearance of enlarged pores, uneven skin tone, dullness, and blemishes. What is zinc and what does it do? Zinc is a mineral that softens and soothes the skin. It has been shown to reduce the appearance of acne and balance sebum production. Does Niacinamide 10% + Zinc 1% cause irritation? Not usually. However, everyone’s skin is different. We recommend patch testing any new product before adding it to your routine. 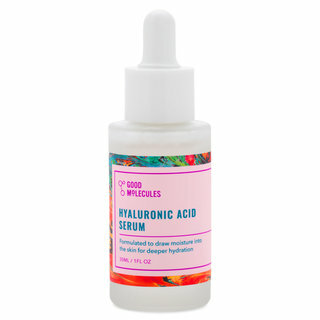 Will Niacinamide 10% + Zinc 1% treat acne? Yes. It’s a beneficial treatment for acne and clogged pores that won’t dry out the skin. I’m pregnant or breastfeeding. 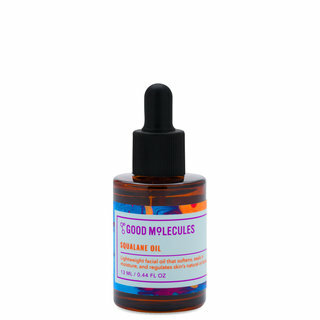 Is Niacinamide 10% + Zinc 1% safe for me? This product is considered safe for use while pregnant or breastfeeding, but it’s best to check with your healthcare provider first. How often can I use Niacinamide 10% + Zinc 1%? We recommend applying it twice per day, once in the morning and once at night. 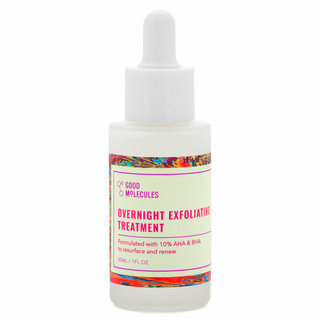 Can I mix or layer Niacinamide 10% + Zinc 1% with other products? Yes, except for products containing ascorbic acid, like Vitamin C Suspension 23% + HA Spheres 2%. If you use a product containing ascorbic acid, we recommend applying it at night and applying Niacinamide 10% + Zinc 1% in the morning. Niacinamide is Vitamin B3, but is so much more than a way to bring beneficial vitamins to the skin. 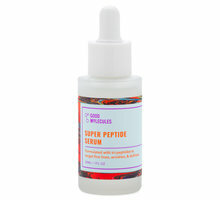 It also actively soothes your skin, calming it down, and helps skin repair itself. If you have issues with pores, or want to brighten skin and improve tone as well as firmness, this is a rockstar ingredient by all accounts. 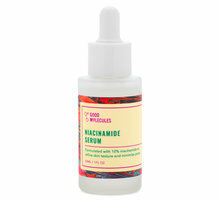 Niacinamide at this percentage, especially, can strengthen skin and so to see it offered at this price point, with the addition of Zinc was truly a delight. Why Zinc? Zinc is an antioxidant . Antioxidants protect your body/skin cells from free-radicals/environmental damage. Much in the way they are an essential part of a healthy diet to help reduce risk of disease, those antioxidants will help your skin protect itself. Zinc that will work with the Niacinamide to sooth skin and as a bonus, it boosts your skin's ability to protect itself from the sun. It's also very acne-friendly. Tremendous for both anti-aging and acne users, this is a must-have ingredient in skincare. If you already have a favorite moisturizer that already contains Niacinamide, such as CeraVe PM, you can easily mix it with this and amp up your percentage. If you have a moisturizer you love that does not contain these highly beneficial ingredients, you could add a few drops to whatever you are already using to use it as a "Booster". For those experiencing pilling, I completely agree with members who suggest less is more when applying. I find that works best and can use this product without any issues, including under make-up. I also allow a little time between layering products and therefore, pilling has not been an issue as a result. On a personal note, I have plenty of amazing skincare, including from my Derm, that contain both C and Niacinamide. Those products are formulated specifically to work in unison, and do so, beautifully. That said, The Ordinary instructs that this should not be mixed or layered with C and so I'd use as directed for this particular formulation. If you are looking to bump your skincare game, this would pair well with The Buffet. I'd also blend in some CoQ10 for maximum results. Vitacost (online) offers a CSI CoQ10 Toner that is a steal for around $8 and is very nourishing. These items would make a delightful "cocktail" used together. Since I like to use my C in the morning, I chose to use this particular "booster" in the evening. If you're using The Ordinary Retinoid, this also would work beautifully with that and provide soothing hydration, reducing your risk of irritation if you are new to Retinoid/Retinol or have sensitive skin. Lovely feel on the skin with visible results. This is a win all the way around! Very impressed at the price point since so little is needed; this bottle should last quite a while. I would definitely repurchase, recommend, and/or gift this product wholeheartedly. 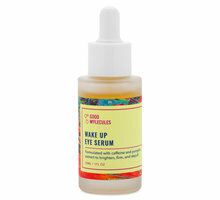 If your up for the challenge to figure out your own customized routine you can make a potent serum cocktail at a fraction of the cost of what the luxury brands tell you have to pay for something that works. I love The Ordinary. Their products are exactly as advertised or lack there of...effective and inexpensive. I was using a serum that was $100/oz. in the morning and a serum/oil that was also $100/oz. in the evening and it was good but was not addressing all of my concerns, not to mention I was buying new bottles once every two months. Now for less than $100 I am able to address all of my concerns and I can see my supply lasting me at least 4 months. I will admit in the beginning it's tough to figure out but with a lot of consideration after reading both The Ordinary's website and calling Beautylish's customer service number I was able to figure out my custom regimen for my 32 year old skin with concerns around aging(wrinkles), mild breakouts, undereye dark circles and hyperpigmentation. Morning: 1. )cleanse(Sunday Riley) 2. )toning mist (Jurlique) 3. )Caffeine Solution 5% + EGCG 4. )Niacinamide 10% + Zinc 1% 5. )The Buffet 6. )Matrixyl 10% + HA 7. )Natural Moisturizing Factors + HA then I apply my makeup. I can feel my skin tighten as it plumps any lines for smooth skin before I apply my primer. Evening: 1. )Remove makeup with cleansing balm (Sunday Riley) 2. )cleanse (Sunday Riley) 3. )Gel toner(Sunday Riley) 4. )Caffeine Solution 5% + EGCG 5. )Alpha Arbutin 2% + HA 6. 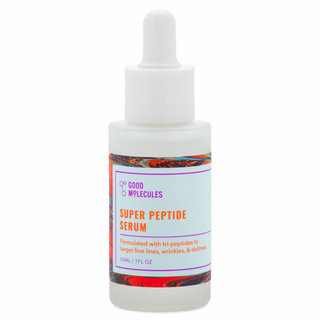 )Every other night I switch between Advanced Retinoid 2% and Lactic Acid 5% + HA 2% 7. )Hyaluronic Acid 2% + B5 8. )Moisturize (Sunday Riley) 9.) 100% Organic Cold-Pressed Rose Hip Seed Oil. I wake up so moisturized and my skin feels like as if it is brand new skin. It honestly freaks me out how smooth it is! I know it seems like a lot but I am serious about keeping my skin healthy and youthful so I can avoid surgical or harsh procedures as long as I can. So if your in for a little bit of effort to figure out your routine you can make your own customized and potent serum cocktail at a fraction of the cost of what the luxury brands tell you have to pay for something that works. ALSO TO SOLVE PILLING ISSUES, a little goes a long way, like many of their products, don't use too much as that is when the pilling will appear. These bottles will last awhile, you don't need more than a couple drops for most uses. Don't Judge a Product By It's Price. I was really surprised at how inexpensive The Ordinary products are and like many of us, I mistakenly assumed that meant the quality wasn't good. I am happy to report I was WRONG! I have friends that use some of the other Deciem products so I decided to give it a go and am happy to report that the Niacinimide 10% + Zinc is an amazing product. I expected it to combat the tiny hormonal breakouts on my chin which it did not do (it's only day 5) but what it is doing is breaking up the hyperpigmentation on my cheeks that has been there for years. I have tried every product on the market for hyperpigmentation, use sunscreen religiously and use retinol products but this is the first product I have ever used and seen a change with. I will definitely repurchase this! This combined with The Ordinary's azelaic acid suspension gives me the same results I was getting from my dermatologist's products, but without applying antibiotics to my face which is absolutely fantastic. Not to mention the fact that The Ordinary's prices are so low that there's really no contest between dermatologist copays and/or prescriptions vs these products. 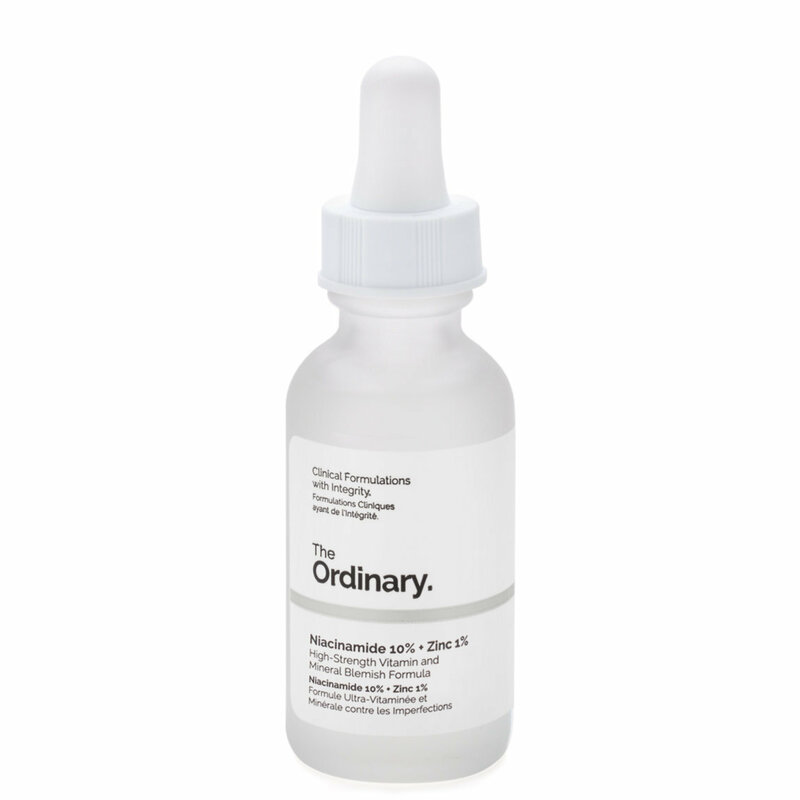 I love The Ordinary's dropper bottles because it makes it so easy to get exactly the right amount of product. Love the way it makes my nose feel matte! This product has everything going for it. I have VERY dry and sensitive skin. I don't get acne, except for blackheads and having an oily nose and center of forehead. I can never find a toner or essence or serum that really does much for my nose except drying it out to near flaky, only to get greasy by end of day. This product is amazing. Along with how incredibly affordable and accessible this product is, I find that it has very little smell...it doesn't bother me at all. The already low price is even better when you consider how much of the product comes in a package. The packaging is lovely, I love the classic glass bottle and dropper, it looks nice and clean/near in your medicine cabinet. Aside from all those positive aspects, the absolute best thing is that this is a miracle product for me. It instantly mattifies my nose and makes my pores feel tighter. It doesn't dry or flake, it doesn't make my sensitive skin turn red or irritate my skin. It stops sebum production on my nose and has been keeping my nose blockhead free as I have gradually worked all the blackheads out of my nose. It is reliable all day long. I have been using a lighter BB cream, and haven't yet tested makeup layering over the area and how it performs with a thicker makeup over it. It is absolutely one of my three favorite products from The Ordinary. I love that their items feel luxe but are in most cases even better than drugstore prices. Great brand and product! If you have oily T zone or skin in general, if you want to clear up blackheads, if you have dry skin or sensitive skin and still need a product like this...reach for this first before investing in more expensive items, I think you'll be happy with the results! I don't have severe acne but do get blemishes and struggle with large pores. I've almost gone through a whole bottle of this (ordered from Deciem) and I'm in love! I ordered 2 backup bottles from Beautylish, never want to be without it! 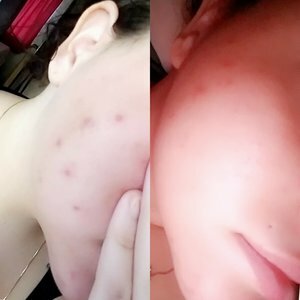 Most products designed for "acne" tend to be really drying and make my skin flaky. Combined with other products from this company my skin is clearer than it's ever been! I use this AM and PM all over my face (thin layer) and if I see a blemish popping up, I also dot on the Azelaic Acid suspension from The Ordinary, great combo that greatly diminishes any blemish on my face in the morning. At 47 I'm aging, but my skin is still very oily and acne-prone. I've been using this for two weeks and already I can see a difference. My pores are tighter, my skin is smoother, and the texture is better overall. After trying dozens of different products, this is the winner. The oiliness also seems a bit better, too. If you have breakout prone skin, this is for you! This product is wonderful for breakout prone skin. I tend to breakout around my skin and my front of my cheeks and since I have been using this I haven't broken out at all! The price is incredible as are the ingredients and the overall quality. I will be purchasing this product again and again.